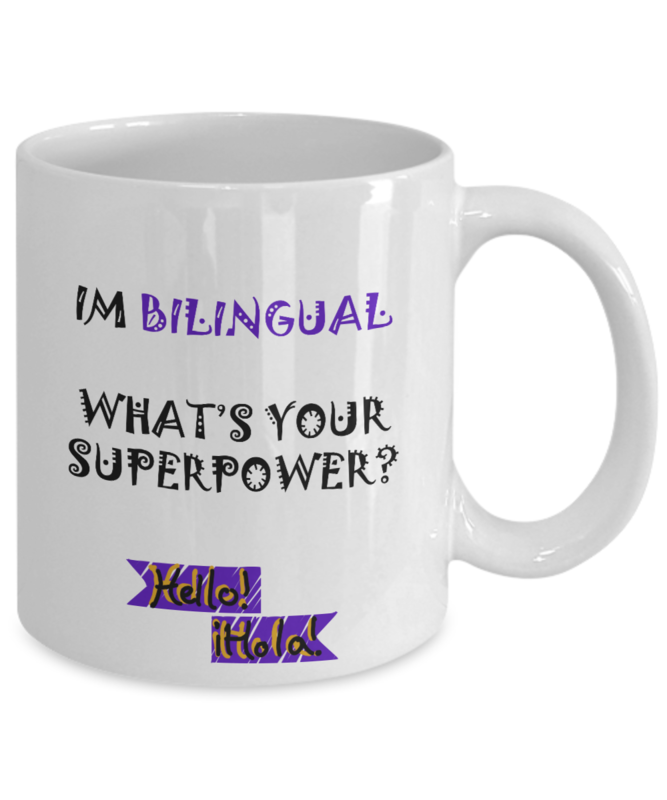 This unique mug celebrates bilingualism. It's a great gift for bilingual students, spanish teachers, and ESL teachers. 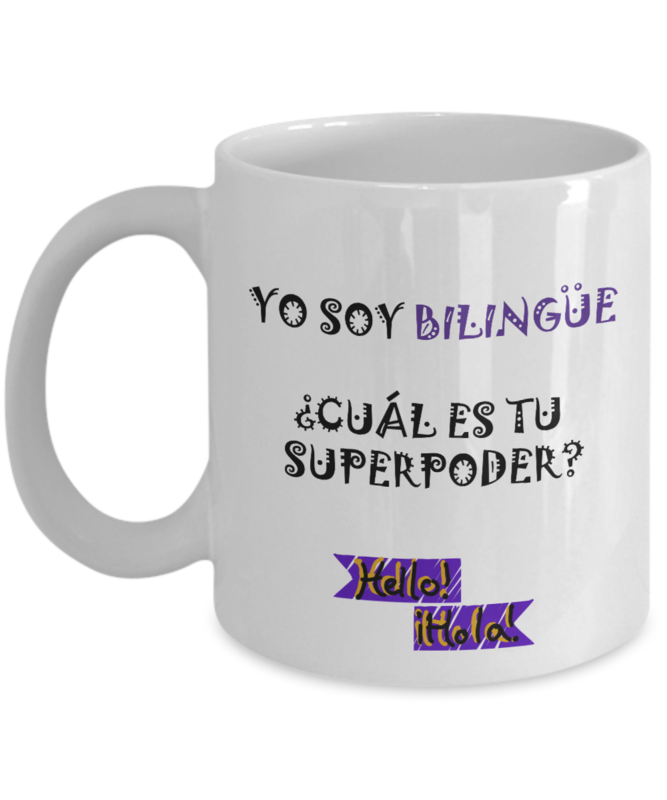 This bilingual coffee mug says "I Am Bilingual. What's Your Superpower?" in Spanish on one side and in English on the other side. Looking for teacher appreciation week ideas? Teacher holiday gift ideas? Or how about a special gift for a student from a supportive teacher? Designed by Language Lizard, a leader in providing dual-language books and resources in over 50 languages.